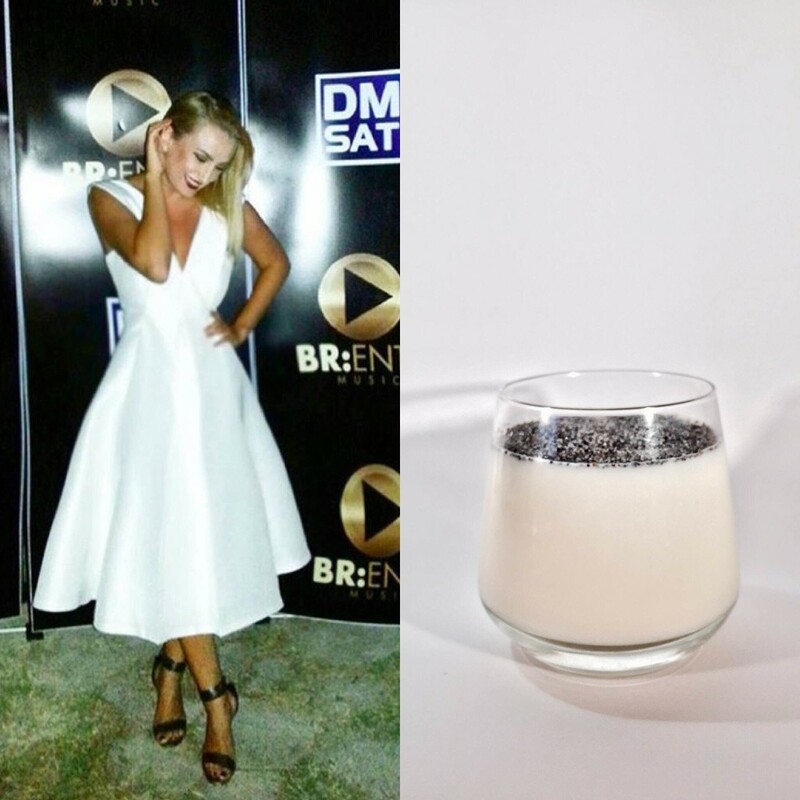 I was inspired by the white dress of a Venera Lumani an Albanian singer known for her extraordinary voice. I created this creamy rice in Albania that we call “mualebi” to name the white color of her dress. Instead of rice flour in Albania makes this cream with rice starch. Put the milk on heat and vanilla and sugar. Mix the starch with a little water til it completely melts together. When the milk starts to heat up pour also the starch. Stir constantly until everything looks nice and creamy. If you wish, also add a knob of butter. Divide it, in several glasses to let it cool completely. Put in the fridge to harden. Don’t forget to add the poppy seeds before serving.